Scrap gold does indeed have value. After you have gathered together all of your various pieces of junk gold (think gold chains, rings with or without stones, earrings missing a mate, gold fillings from teeth etc.) you can take them to a gold dealer to have them weighed and appraised. The dealer himself may be interested in purchasing your scrap but more than likely, you will receive more money if you sell your gold to a gold buyer online or at an auction. Scrap gold can bring in a nice profit depending on caret weight (10k, 14k, 18k, 22k or 24k) and the purity of the gold. 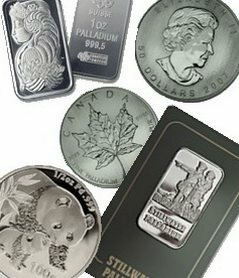 Some gold is even mixed with platinum which makes the value greater. But there are gold jewelry pieces that are mixed with other metals which may bring down the value quite a bit. Sort out your gold pieces by caret weight and then have them weighed to convert ounces to grams. Gold is purchased according to gram weight, so that is an important step. If you need cash quickly, you will probably benefit from selling it directly to a dealer or pawn broker. But if the price seems much too low, wait to sell it at another venue. There are buyers who will try to take advantage of you. Don't be desperate when selling your gold. Also, you may get a greater price by advertising online or locally that you have jewelry for sale rather than scrap for sale. If you have a ring with a nice stone, for instance, you might want to sell it as a "beautiful gold ring" rather than as "scrap" or "junk" gold. No matter what your reason is for selling your spare gold pieces, you can definitely make money by selling it. Whether or not you see an actual profit...that is, cash over and above the original price of the jewelry will depend on how quickly you wish to sell and what the market will bear at that particular time. The longer you can hold off selling, the better your chances are to see a real profit. Yes, those scrap gold have its own value when bought. The more the country is experiencing crisis, the more of the value of your scrap gold will increase.